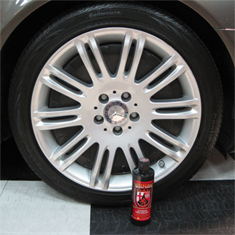 Home > Shop By Brand > Wolfgang Concours-Series Car Care > Wolfgang Exterior Trim Sealant 16 oz. 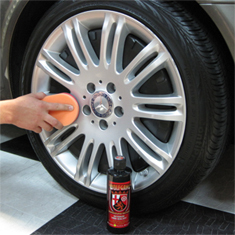 For a limited time, receive a FREE Poly Foam Applicator with your purchase of Wolfgang Exterior Trim Sealant! I may have applied too much on the first use so it appeared uneven for the first couple of days. I even had a bit of streaking on paint after some rain. After wiping it down again and using the Wolfgang spritz on it, the trim looks great. One month later and it still looks perfect. You really only need a small amount. I plan to apply monthly. ConsWear gloves due to greasy residue, not really a con just advice! When looking for the Magic Trim solution, this is the answer. Expensive,but top quality product.I use it once for every two weeks and the result is perfect.Highly recommended. ProsIt makes trims like new. 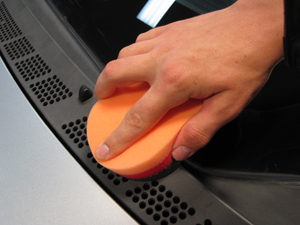 Restores Rubber Trim to Better than New! I didn't know what to expect. 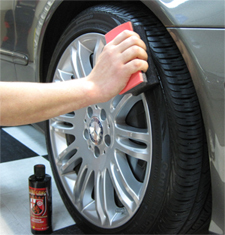 There is no product in the detailing market that performs according to its claims...BUT Wolfgang does! It was so exciting to see the results. My rubber trim looked great! It felt great! 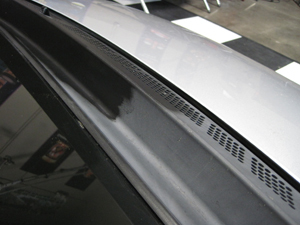 It cured quickly and there was NO surface bonding..The rubber trim performs like a new car. I must add that all Wolfgang products I have used have performed WAY beyond my expectations.